Consider the many ways that a customer encounters your brand – organic results on a search engine, display media campaigns, social media links, re-targeting on external sites, etc. One thing is certain – consumer journeys are far from linear. They can occur across multiple platforms, devices and browsers. The problem is that organizations are often constrained to channel-limiting decisions regarding their media investment allocations. 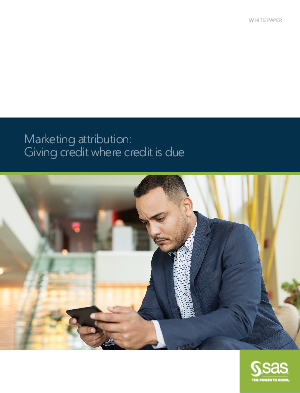 Marketing attribution helps you analyze the impact and business value of company-generated marketing interactions to help make the best marketing investment decisions. The challenge is to interpret the massive volumes of customer data that continues to expand day by day.